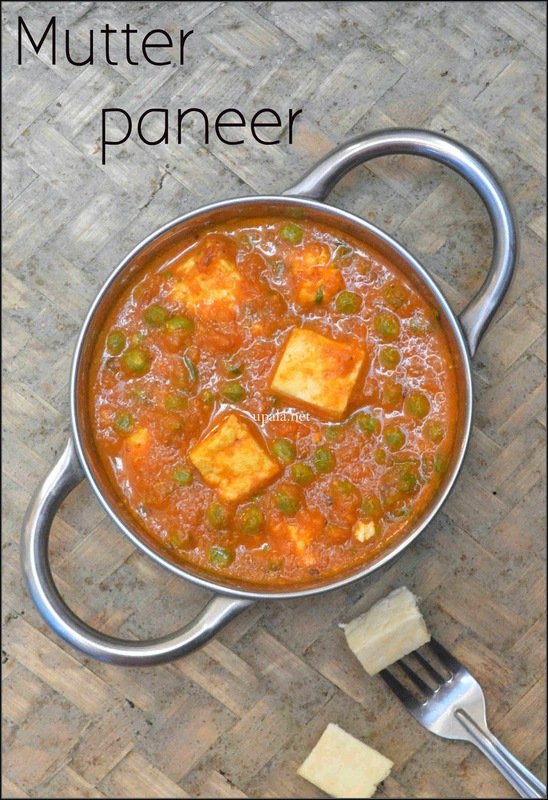 Matar paneer is a tasty Punjabi dish prepared as gravy by adding mutter (green peas) and paneer. Wondering how to make paneer at home, click here. 1) Heat 2 tbsp oil in a kadai and add onion, ginger, garlic and cashews, fry till onions turn light brown. 2) Add tomatoes and fry till they turn mushy. After it cools, grind to smooth paste. 3) Heat 1 ladle oil in the kadai and add cumin seeds. After it crackles add the ground paste, leave to boil for few minutes. 4) Then add Turmeric powder, Red chilli powder, Garam masala and Salt, leave it to boil for few minutes. 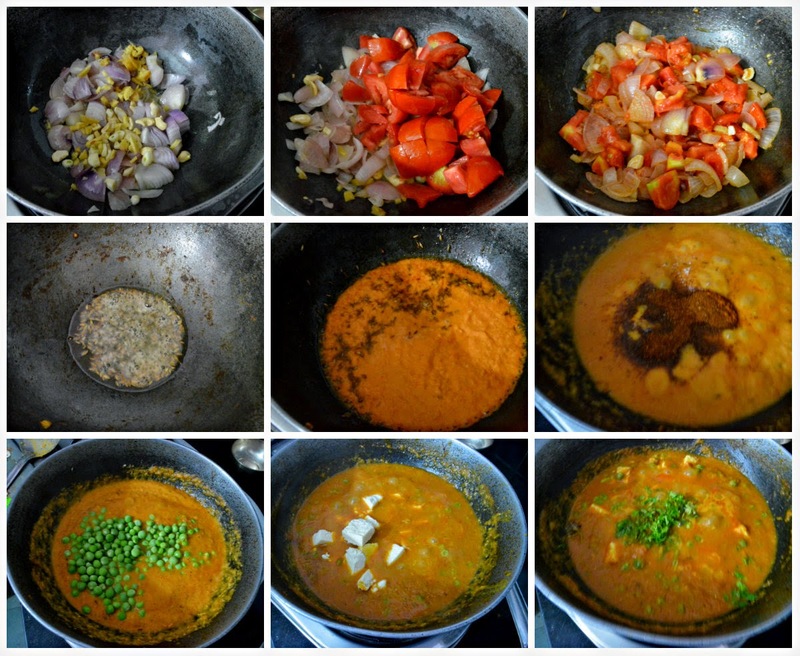 5) Add Green peas/matter and 1/2 cup water, close it with a lid to cook the green peas in gravy. 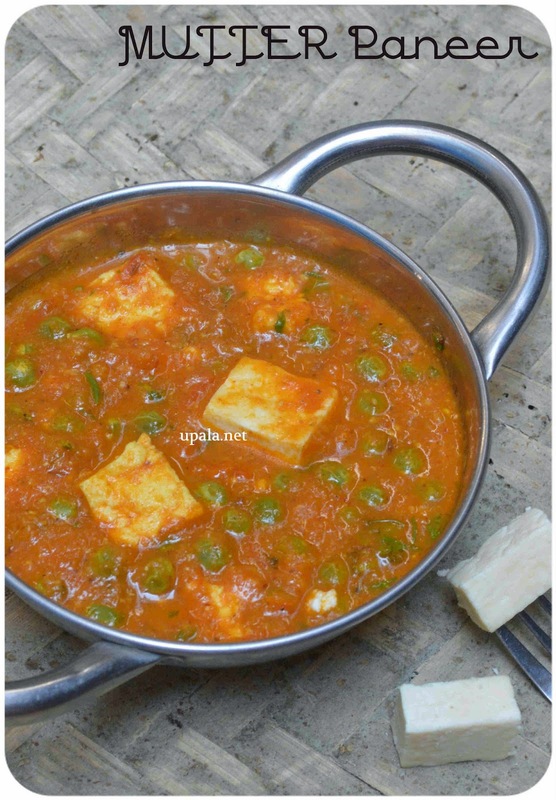 6) After green peas are cooked, add paneer and gently mix. Let it get cooked in gravy for 2 minutes. 7) Garnish with fresh coriander leaves and switch off the fame. Tasty matter paneer ready to pair up with Roti, parathas or rice. 2) Avoid over cooking paneer in the gravy, as it will turn rubbery.